The European Commission has kick-started a debate on reforming decision-making for areas of EU taxation policy, which cur­rently requires unanimity among Member States. “This unanimity often cannot be achieved on crucial tax initiatives, and can lead to costly delays and sub-optimal policies,” a statement by the Commission said. A communication published earlier in the week suggests a roadmap for a progressive and targeted transition to qualified majority voting (QMV) under the ordinary legislative procedure in certain areas of shared EU taxation policy, as is already the case with most other EU policy areas. This possibility is envisaged by the EU Treaties. “Under QMV, Member States would be able to reach quicker, more effective and more democratic compromises on taxation matters, unleashing the full po­tential of this policy area. Also, under the ordinary legislative procedure, taxation decisions would benefit from concrete input from the European Parliament, better representing citizens’ views and increasing accountability,” the Commission said. Malta and a number of other tax-friendly States have traditionally opposed any move towards tax harmonisation on an EU level. Finance Minister Edward Scicluna told The Sunday Times of Malta that he believes “the veto removal regarding taxation in the EU is essentially a red herring”. Nationalist MEP Roberta Metsola also firmly rejected the European Commission’s proposal and vowed to fight tax harmonisation. Writing on Facebook she said: “The European Commission is again trying to push for Member States to lose their right of veto on matters of taxation. It is not the first time and it will not be the last. Ireland also swiftly rejected the idea. A government statement said Dublin “does not support any change being made to how tax issues are agreed at EU level”. Irish officials said that unani­mity “has not prevented the ag­reement of a significant number of tax (laws) in recent years”. The Commission said it is not proposing any change in EU competences in the field of taxation, or to the rights of Member States to set personal or corporate tax rates as they see fit. Instead, the aim is to allow Member States to exercise more efficiently their already pooled sovereignty so that shared challenges can be addressed more swiftly. The unanimity rule has meant that some key proposals for growth, competitiveness and tax fairness in the Single Market have been blocked for years. At the same time, the European Parliament has only a consultative role in the decision-making process so far. The Commission said its ap­proach outlined by its communication would usher in a new dynamic and revitalise decision-making in this area at a time when the future of taxation has become a burning issue for the international community. “Addressing the difficulties inherent in the current framework would cement the EU’s reputation as a global leader in developing realistic solutions to the taxa­tion policy challenges of the 21st century,” it said. 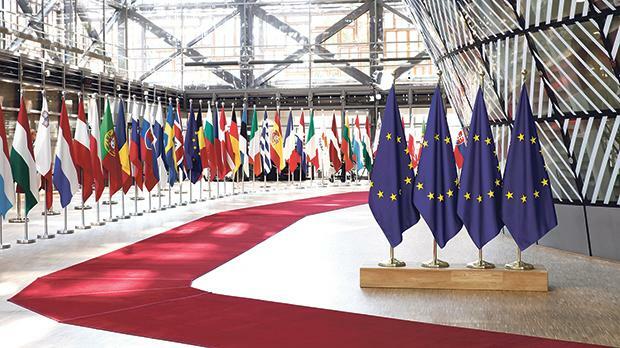 In its communication, the Commission asked EU leaders, the European Parliament and other stakeholders to assess the possibility of a gradual, four-step progression towards decision-making based on QMV. In the same vein, Step 2 would introduce QMV as a useful tool to progress measures in which taxa­tion supports other policy goals, e.g. fighting climate change, protecting the environment or im­proving public health. The communication suggests that Member States decide swiftly to converge on a decision to develop Steps 1 and 2. The communication suggests that Member States consider developing Steps 3 and 4 by the end of 2025. Action in the areas outlined would be possible under the so-called ‘passerelle clause’ (Article 48(7) TEU) in the EU Treaties, which allows for a shift to qualified majority voting and the ordinary legislative procedure under certain circumstances. No EU Treaty change is necessary.